Deforestation – a process by which forest areas are removed and the land is utilized for other uses including agriculture, industrialization, resources, or settlements – has stark implications on our environment in the near future. Despite the rising awareness of the destructive threat to forests and its implications for the planet, the rich abundance of resources in the forest and the short-term monetary benefit of acquiring these resources have created corruption that has pervaded government institutions, corporations, and local communities. Some of the reasons for the practice of deforestation include extracting lumber for commercial materials, farming and grazing cattle for today’s growing population, extracting charcoal as fuel for cooking and heating, extracting oil, mining, and building roads and settlements. After exhausting the forests in Western Europe and other developed nations, nations are now looking towards the tropical rainforest areas. Unfortunately, developing nations are also situated in these tropical areas and depend on these forests for their livelihood. As the population continues to grow, so does the developed nation’s dependency on forests for resources. As a result, third world countries are being extorted for their resources for minimal in return. Furthermore, rainforests constitute about 30 percent of the land, and thus, their depletion will have profound effects on the environment, primarily climate change. Carbon dioxide is a greenhouse gas that allows incoming heat to protrude through the atmosphere and prevents its escape; an effect that has given rise to the warm temperatures seen today. For the most part, the warm temperatures caused by greenhouse gases are essential for maintaining life. However, the burning of fossil fuels and other anthropogenic activities are causing a rapid rise in greenhouse gases in our atmosphere, known as the greenhouse effect. As a result, less and less heat is able to escape which will cause a significant rise in temperatures over the next century. One of the main causes of the greenhouse effect is deforestation. Forests are an essential part of our biosphere for regulating atmospheric carbon dioxide levels by acting as a ‘sink’, utilizing carbon dioxide for photosynthesis and storing carbon dioxide underground. However, as we continue to remove the forests for monetary purposes, we are releasing the carbon dioxide stored and removing the sink for atmospheric carbon dioxide, augmenting the greenhouse effect further. Unfortunately, the damage does not end there. As the climate continues to get warmer from increased carbon dioxide emissions as a result of deforestation, this will cause an increased rate in forest fire incidents that would further wipe out forests and release carbon into the atmosphere – a self-sustaining destructive event. In fact, the loss of trees accounts for 18 percent of annual carbon dioxide emissions and is the second leading cause of the greenhouse effect. Approximately 13 million hectares of forests are lost each year, accounting for 25 to 30 percent of greenhouse emissions. This is approximately the size of New Zealand, and this is unacceptable if we hope to tackle climate change in the near future. Another negative effect of deforestation is the erosion of the soil due to more exposure to the sun, wiping out nutrients such as nitrogen that are essential for maintaining the fertility of the land. Also, forests function in the storage of water and the regulation of the water cycle. They absorb water from rainfall and other waterways through their roots and release it back into the atmosphere. From the atmosphere, the water is re-accessed through rainfall and the cycle continues. Consequently, without forests, the area becomes drier and water begins to deplete in the ground, diminishing our water resources. Furthermore, 80-90 percent of the world’s species reside in the rainforest and thus, deforestation has caused not only a loss of habitat for these organisms, but their extinction as well. However, as stated earlier, the high monetary advantage to strip forests of their resources has become inevitable. Everyone, from local communities to national regimes, is participating in deforestation. With a lack of awareness by the general public, we will continue to destroy our planet beyond repair. One of the main drivers of deforestation is corruption by the use of illegal contracts and illegal loggers, especially in tropical areas such as African countries and the Amazonian rainforest. Corruption continues to stifle African governments and their need for self-sustenance. In 2007, a two-year investigation was conducted, where it was found that logging companies extort the Democratic Republic of Congo by illegally acquiring the rights to as much as 21 million hectares of forest. Congo has recently suffered from a decade of civil war and is now experiencing a transition in government and as a result, companies from Germany, Portugal, Belgium, Singapore and the US are capitalizing on Congo’s circumstance by moving in to extract African teak from their forests. This is problematic because extraction of African teak could potentially release 34 billion tonnes of carbon. In return, these companies merely offer bags of salt, machetes, bicycles, and promises to build schools to the village chiefs. In fact, the deep-rooted nature of this corruption extends all the way to the World Bank, who are well-aware of the corruption in the logging activities in Congo and are now accused of even encouraging them. Similarly, the Amazonian rainforests in South America is another significant forested area in our world, which suffers from deforestation activities as a result of corruption. Although the Brazilian government has documented that the rate of legal deforestation is decreasing, satellite imaging has shown that the deforestation rate has actually increased by 50 percent from 2004 to 2007. The reason behind this increase in illegal “unofficial” roads is that they are being built by illegal loggers through the rainforest for high financial gain. In fact, these roads are already estimated to cut through 105,000 miles in the Amazonian forest. The Trans-Iriri highway is a primary example of an illegal road that spans hundreds of miles and was built by illegal loggers. As a result, the Brazilian government is having difficulty controlling the rate of illegal deforestation. Some attempts have been made such as designating conservation areas and the implementation of DETEX (a system that detects illegal logging) but these regulations hardly get enforced as illegal loggers continue to ravish through these areas. As illegal cutting continues to be an issue especially in developing tropical countries, where forest areas are in abundance, the government needs to have better effective means for the protection of forests, one that is enacted and enforced. Cutting trees should be, by law, a major criminal offense in these countries, and should also be treated as so. Areas designated for conservation need to be protected, and wildlife sanctuaries should be built and enforced to further protect the trees and species living within them. However, this may require outside assistance from developed nations, who can offer financial assistance to African governments and surrounding communities to eliminate their heavy reliance on deforestation; a solution that has already been given serious consideration in the past. Delegates from 46 countries rallied in a Rome workshop in 2006 to discuss this solution. Their ideas were met with action as a fund was established by Britain and Norway known as the Congo Basin Forest Fund in 2007. This fund provided £180,000,000 and satellite imaging to encourage projects that provide alternative sources of energy and income to deforestation. In general, deforestation is an issue that needs to be addressed in order to prevent climate change and ensure that ecosystems are preserved. One possible solution is for nations to develop reforestation practices, which has already been adopted by several developed nations. This will go a long way to effectively reverse deforestation and preserve our ecosystems. Another solution is to encourage corporations to take a greater interest in Forest Stewardship Council (FSC) standards when acquiring wood supplies through the use of tax incentives. Dams can also be built to provide water to areas that have been cleared of forests so that we may have the provision to re-plant there in the future before the land becomes infertile. However, for change to be truly effective, we must recognize that change begins with us individuals first and that we must change our lifestyles accordingly. One solution is to buy only FSC certified products, which use a third party certifier that the wood product meets certain FSC standards. FSC standards ensure that the wood that was extracted was done so while respecting the laws of the country from which they were attained. It ensures that the wood supplier has a proper long-term written agreement for the land and is not involved in acquiring wood products illegally. Also, the wood supplier has respected the indigenous people and their legal ownership of the land and resources, and forest management does not aversively affect the forest diversity of the area. Another solution is to purchase products that have a fair-trade certification, which holds producers accountable to maintain certain standards related to labour practices and sustainable farming. Fairtrade certification ensures ethical labour conditions for workers in large farms by making sure their wages are equal or higher than the reported regional average or minimum wage. This ensures that these individuals are not conspiring with illegal loggers, where they would be paid considerably less. Finally, we can cut down on using paper products and recycle materials when possible as opposed to disposing everything in the garbage. Decreasing the demand for wood products by supporting paperless lifestyles and recycling, we are lowering the need for illegal deforestation. Consuming less paper and wood products will help end the corruption big corporations pursue today. To conclude, deforestation is a global phenomenon that needs to be addressed collectively by consumer individuals, environmental groups, corporations, and governments. 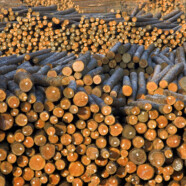 In today’s modern world, it should be made possible to supply timber demand without the use of deforestation. However, as stated earlier, this initiative cannot be done by one single entity alone. Developed nations need to step up and assist developing nations so this cycle of corruption and bad practices can be broken. More importantly, as individuals we need to be aware of the threat deforestation poses to our planet and follow a lifestyle that does not support deforestation. The time to address deforestation is now, otherwise, there may not be a forest left to save by future generations.